As the debate continues on connection of climate change with growing intensity of hurricanes like Harvey and Irma, climate change is already becoming a ground reality for scores of farmers in the hill state of Mizoram. Changing rainfall pattern and rising temperatures are forcing them to move away from traditional farming and grow exotic crops that are heat-resistant and can survive erratic rains. This year has been particularly bad. There has not been a single day when it has not rained. “Farmers are completely confused. They don’t know whether it was early monsoon or it is ‘everyday monsoon’. All important dates on the agriculture calendar have been missed,” pointed out Dr James Lalnunzira Hrahsel, a scientist with the Mizoram State Climate Change Cell. Data of the past 30 years shows a rise in average temperature of Aizawl in the month of January. The lowest maximum was 18.7 degree in 1992 while the highest was 28.2 degree in 2005. This January it was 26.3 degree. On the other hand, minimum temperature in January has dipped. The difference between daily minimum and maximum temperature has been widening. The maximum and minimum temperatures in July also have seen a similar trend. The rainfall pattern has changed so drastically that farmers are left clueless. The dates for burning jhums (shifting cultivation) had to be shifted twice this year due to rains. While there is an increasing trend in monsoon rainfall, there is decrease in post-monsoon rainfall and winter rainfall. Heavy precipitation events have gone up. 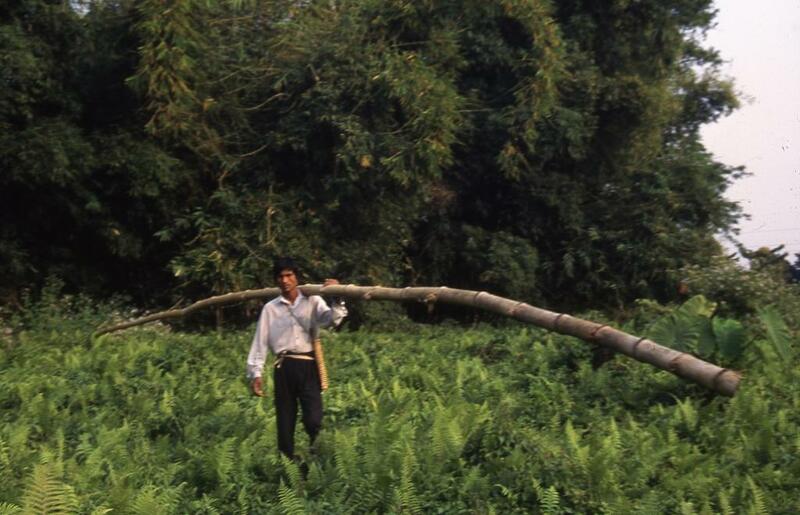 “The rainfall pattern in Mizoram has traditionally been so nuanced that Mizo language has different names for rain during different months: To ruah (for April-May rains), Ruah Bing (for June-July rains), Ruah var pui (September rains), Ai Ruah (for October rains) and Pawl del Ruah (December rains). Even wind patterns have unique names: Vahtlao thli (February winds), Pa-sawntlung thli (March to May) and Pa leng thli (July winds),” explained Lalrokima Chenkual, a disaster management expert with the Administrative Training Institute. “But nowadays, it is difficult to distinguish one rain or wind from another,” said Chenkual. All this is directly affecting farming communities. “Earlier, farmers could grow a variety of fruits and vegetables throughout the year. Now they are approaching us to help them with new crops and varieties that can withstand changing climate. That’s why we have introduced dragon fruit from Thailand, new cabbage variety from China and two tomato varieties from Bengaluru,” Henry L Varte, horticulture extension officer, told India Science Wire. Dragon fruit is a cactus that can grow in warm and humid climate, needs less water and its fruits have high commercial value. As dragon fruit is climbing cacti, concrete pillars are erected to train the vine and on the top old tyres are used. 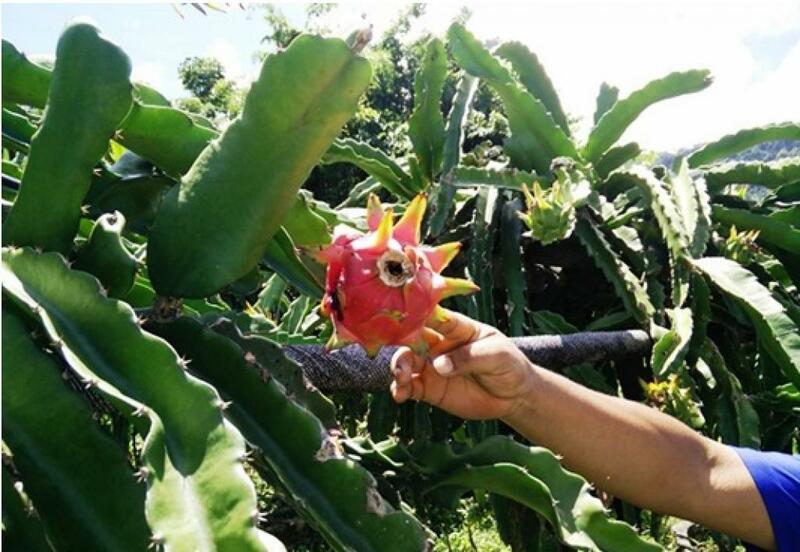 “Dragon fruit cultivation is helping famers to adapt to rising temperature and erratic rainfall, while protecting their incomes,” said Varte. Similarly, the cabbage variety imported from China is heat-resistant. Two tomato varieties— Araka Samrat and Araka Rakshak—developed by the Bengaluru-based Indian Institute of Horticulture Institute can withstand high temperatures and are disease-resistant. “Earlier, I used grow oranges from seedlings imported from Israel, but pest attacks started due to heat and the yield dropped. Then I planted areca nut. Last year, I shifted to dragon fruit and have harvested 20 quintals of fruits this year. The market for this fruit is good, each fruit of about half a kilo sells for about Rs 100 to Rs 150,” said Zoramthanga, a dragon fruit farmer from Viapuanpho village in Mamit district. Saurabh Sharma, state nodal officer for climate change, said adaptation had become necessary as districts in the state face ‘moderate to high’ vulnerability to climate change in terms of agriculture, forestry and water sector. 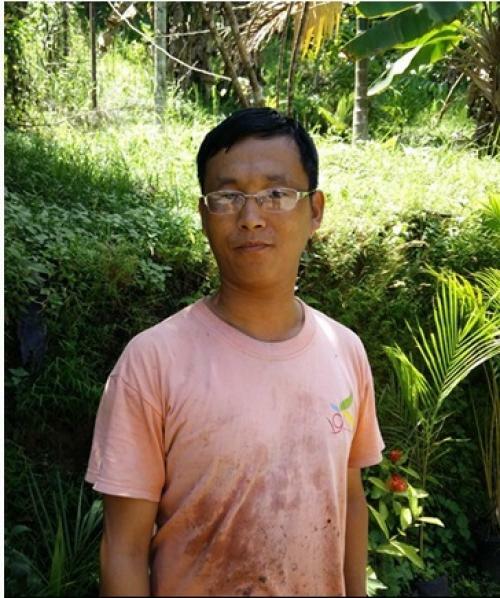 The National Adaptation Fund for Climate Change is funding a three-year project to augment livelihood of rural communities by building resilience in agriculture in four districts: Aizawl, Mamit, Kolasib, Serchhip. “The idea is to develop one climate resilient village in each district so that they can serve as model for the rest,” Sharma explained while speaking at a media workshop. Pradeep Chettri from Directorate of Agriculture (Crop Husbandry) said pilot projects were underway in three agro-climatic zones: humid mild tropical zone, humid sub-tropical hill zone and humid temperate sub-alpine zone to increase tolerance and suitability of crops to climate change.